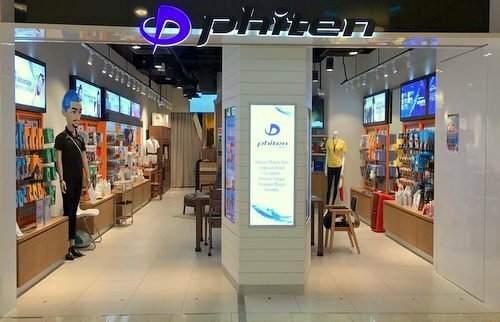 Japanese wellness technology company Phiten has a network of 10 shops in Singapore, including one within Marina Square mall (6 Raffles Boulevard). Founded in 1983, Phiten offers different types of unique wellness technologies and products that aim to maintain body’s natural state of balance and enhance its healing power. One of the key technologies behind Phiten’s products is a special-form of titanium (AquaMetal Technology), which is processed into a wide variety of forms, including necklaces, bracelets, tapes, gels, and more. Using this technology, the goal is to channel your body’s bio-electricity to improve the rate of recovery from fatigue and muscle strain, prevent injuries through reduced muscle tension, increase your flexibility, and enhance your ability to perform at the very peak, optimal level. Phiten products are manufactured so that they are suitable for anyone and everyone, and over the years the brand has won the trust of many world athletes – including Singaporean athletes such as the SAFFC Warriors, who have chosen to use products from the Phiten range. The main categories of products Phiten has on offer are Sleeping Goods, Life Tech (Phiten Water Charger, Solarch Foot Massager, Hyperbaric Air Therapy), Supporters, Tapes, Lotions, Gels, Accessories, Hair Care, IP Facial Care, Apparels, and Furnitures. In addition to going to the physical stores, you can shop for Phiten products in Singapore using the company’s local internet store. The online shop, at store.phitensg.com, also features sections for Hot Deals and Popular Products, where you can get the insight into bestselling wellness products and Phiten’s best discounts.